— — AFDB-1 Everett Shipbuilding Co.
↑USS Los Alamos (AFDB-7). At Holy Loch, Scotland, with a ballistic missile submarine (SSBN) inside, circa the 1980s. USS Simon Lake (AS-33) is in the left distance. Official U.S. Navy Photograph, from the collections of the Naval Historical Center. 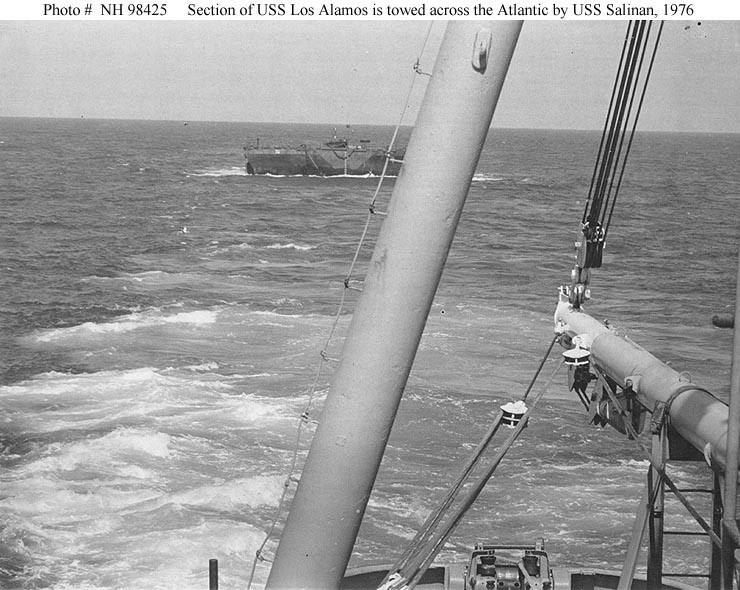 ↑USS Los Alamos (AFDB-7). A section of floating drydock Los Alamos under tow by the fleet tug Salinan (ATF-161), 1976. 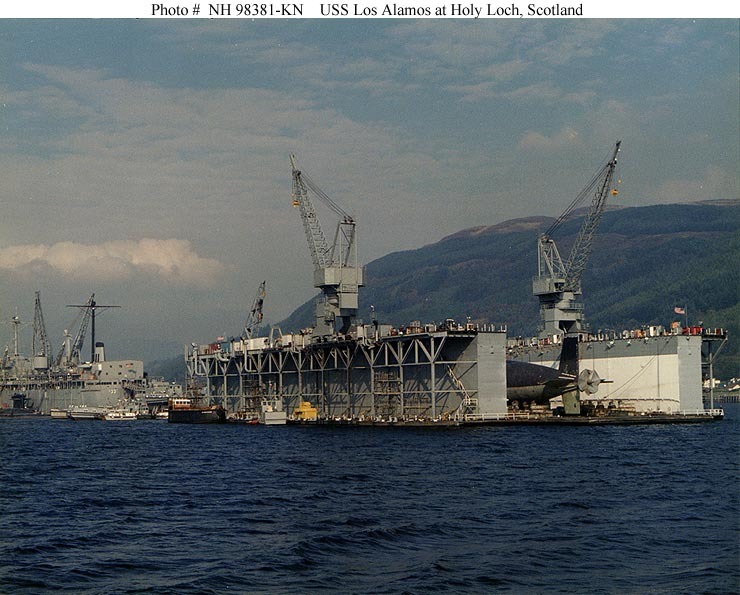 In July-August 1976 Salinan and USS Shakori (ATF-162) towed a dry dock section from Charleston, South Carolina, to Holy Loch, Scotland. Salinan and USS Papago (ATF-160) towed other Los Alamos sections back to the U.S. from Holy Loch in October-November 1976. Photograph received from USS Salinan in 1978. Official U.S. Navy Photograph, from the collections of the Naval Historical Center.